Help parents and child develop bonding relationship. We at You and Me Counselling are seeing an increasing number of children who parents are struggling with alcohol abuse..
We are finding that parents can afford counselling for their children but they can't afford to get help for themselves. We can't fix the problem unless the parents are helped. We would like you to help us to provide Family Therapy sessions so we can help the children and their parents build a sustainable relationship. We will provide help and support that parents and children both need. Children will be able to have a better relationship with their parents and they won't feel anxious because they will have the love and support from their parents. It will also stop children getting into trouble in school and out of school and also it will allow them to concentrate on their education. Alcohol causes Depression and Anxiety. It also can affect their long term memory. It will benefit parents to become better parents and stop drinking alcohol. Parents will be able to take control of life. Parents will also be financially better off as they won't need to spend it on alcohol. Alcohol can cause parents to be abusive towards children. So we give them Family Therapy sessions they will help to manage their relationship. You and Me Counselling is a charitable organisation established in 2011. 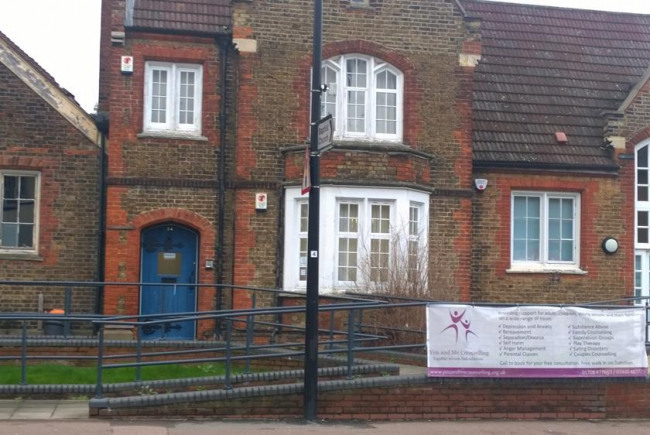 We are a counselling and psychotherapy service based in Hornchurch, Essex that works with children, young people, adults and their families in the boroughs of Havering, Barking & Dagenham, Redbridge and Waltham Forest. Our counsellors and therapists work both within schools and from our own counselling rooms located in North Street, Hornchurch. Project Delivery Manager: Jenna The Project Delivery Manager takes legal responsibility for receiving and spending the funds raised and ensuring the project is delivered.